The Category Rankings feature helps you track daily or hourly category rankings of your own or your competitors’ apps over the selected period of time, in any country, on either the Apple App Store or Google Play store. 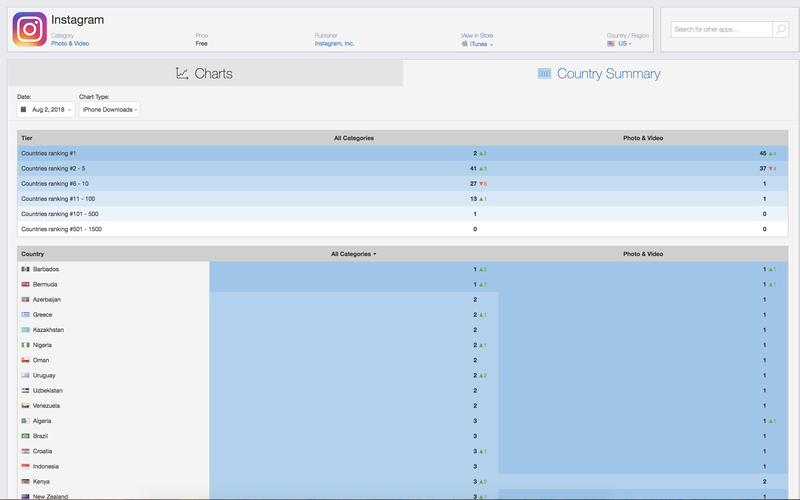 You can understand the position and direction of your competitor app's ranking by country and timeframe. You can also add multiple apps and compare their rankings. The "+" icons at the bottom of the Category Rankings chart indicate the days when an app was updated. Clicking on these icons will take you to the App Update Timeline module, which shows more detail about the updates for any app on the iTunes or Google Play Store. You can chart by either daily or hourly. The hourly ranking is updated based on GMT+0. 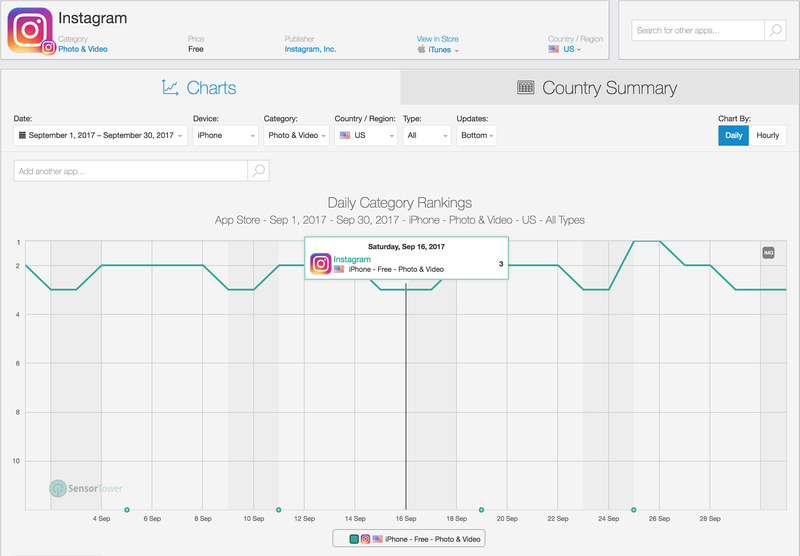 The Country Summary tab shows how an app ranks within a particular category across all countries in which it’s available.